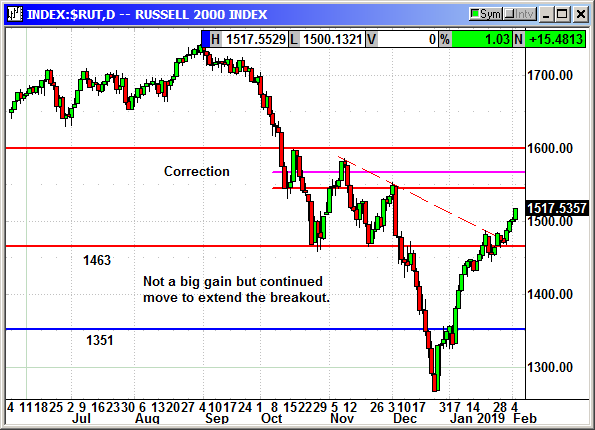 The Russell is moving up steadily with Goldilocks precision, not too hot and not too cold. After moving well over 1,500 the next challenge is the 100-day at 1,518 and then December high resistance at 1,550. This steady pace of minor consecutive gains will help prevent a major crash when profit taking finally appears. The slow pace of gains means less chance of a major reversal when profit taking finally appears.